After a particularly rough day at work (like today) I like to unwind and relax. Tonight I decided to take a bath and listen to Pandora for a while. I usually don’t take baths but I found a couple of Lush bath bombs while cleaning my room. I’m not sure what kind of bath bomb it was but the one I used had pink polka dots on the inside that turned the water different colors. It was really pretty and super bubbly. While taking a bath I also used my Formula 10.0.6 skin clearing mud mask that I talked about in the last post. My face feels so soft and clean now plus it smells amazing. For some reason work and school has been stressing me out a lot lately which makes me break out really bad. 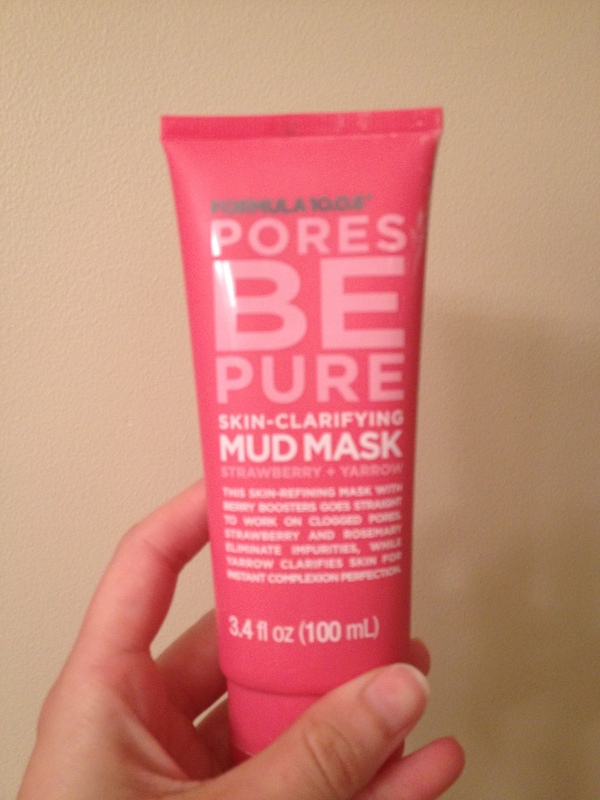 This mud mask helps reduce the redness on my face and clears my clogged pores. The Pandora station that I was listening to was the Imagine Dragons station. Imagine Dragons is currently one of my favorite bands. Their songs are so catchy and inspiring. I had a bad headache so I drank some peppermint tea from my favorite Eeyore mug. I really recommend peppermint tea to people with headaches because it helps relieve some of the pressure in my brain. I don’t know all the scientific stuff but that’s what it feels like to me!